The drive.web distributed control technology uses TCP/IP over Ethernet to provide Internet access and high performance, peer-to-peer networking for the Optidrives, remote i/o, other drives and devices such as programmable controllers operator stations, etc. The drive.web speedy drive interface also supports programmable control and all the functions you need for a coordinated drive system. One of the best ways to get a feel for the features and functionality of the drive.web technology is through the savvy intelligent tools. You can download savvy free from our dedicated web site at driveweb.com. Click on “get savvy” and download the version you need for your computer system. If you have MS Windows you will need to have the Java Runtime Environment installed – there is a link to this if you need it. The savvy “Help” menu has some useful “getting started” information, but please call for a guided tour. Free drive.web online training seminars are held every week. These introductory seminars are fully interactive with the presenter, they take about one hour and show you the basics of how to create drive systems with almost any drive, generate signal flow documentation, configure drives, interface to external products such as operator stations, PLCs, etc. and work with your drives across the Internet. More extensive online technology training sessions are also available. 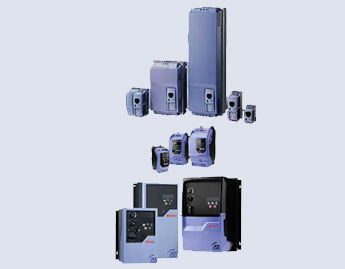 Plug-in module provides improved speed holding accuracy (0.1%) and control down to zero speed. A retransmit option provides a buffered encoder signal for other equipment and instrumentation.